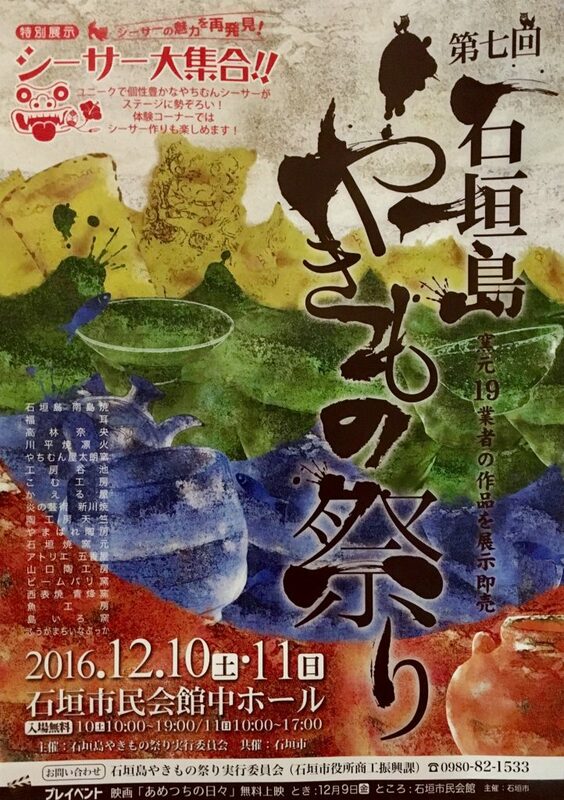 Every year in November or December Yakimono matsuri, the local pottery festival, takes place. We’ll share the exact date on social media every year. Don’t miss this event, if you’re searching for a unique gift, souvenir or to treat yourself. This large pottery festival is organised by the local Yaeyama potters. Even a Yonaguni island potter is there to sell his handmade work. It’s a unique event to see almost all potters work at one place together. Another good thing coming along: the craftsmen and women offer their products against reduced prices. The festival has a different theme every year. Shisa was the theme is 2016 for example (the Okinawa lion dog guardians).